I (blazie151) made a stealthed version of Rebug 3.55 and 3.41. These versions include ce24 and ce27 for Console ID spoofing. Keep in mind at this time F***PSN and ce27 are useless since F***PSN doesn't blank your Console ID on SP-INT. For that reason I included ce24 as well, so that you can blank your console id with charles. This also has a stealthed version of rebug selector tested working. Its stealthed as the tetris demo, so if you have that game already, use my homebrew stealthing application and stealth it as something else. The 3.41 version has a stealthed rebug selector and the h4c payload stealthed too, both tested working. To use it, place rebug's 3.55v1 or 3.41v2 pup in the same folder with the files provided in this post, and double click patch.bat. MD5 hashes included. For the worrying ones, I didn't modify anything in coreos, so the brick risk is the same as rebugs cfw. It is tested as well. All this does is add in my stealth measures to the pup before flashing it. 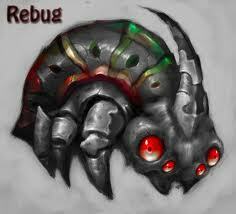 All credit still goes to rebug.